So that’s why, when Ahab’s back was to the wall with the king of Aram, God came to him: "This is what the Lord says: 'Do you see this vast army? I will give it into your hand today, and then you will know that I am the Lord.'" (vs 13) Remember, this is the God that King Ahab shunned, neglected, ignored, and downright disrespected. But God seems to be a slow learner. Even though Ahab had thumbed his nose at Him time and time again, God was still ready to spring into action, given half a chance. He was still looking for opportunities to help Ahab see the truth... and return to Him. 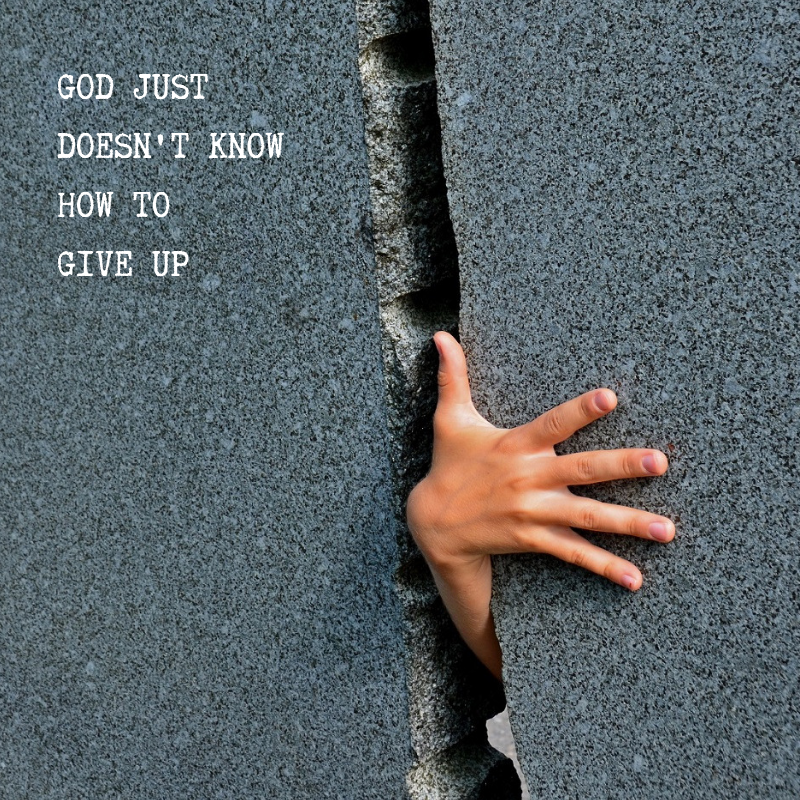 This is one of the things I love most about God: He doesn’t give up. Even if we never seem to learn, even if our case looks hopeless, God will still pursue us. He will not give up unless He has exhausted every possible means of getting through to us. As long as there is any chance that we might hear His voice and turn around, He will do what it takes to come to us again and again and again... and again. He just doesn’t know how to give up! Newer PostGod knows what is needed. Older PostGod wants us to go all in.